If you’re wanting to stray a little further from the city rather than staying within its confines (see our Day Trips in Zagreb page), here are some options for day trips from Zagreb for you to consider. 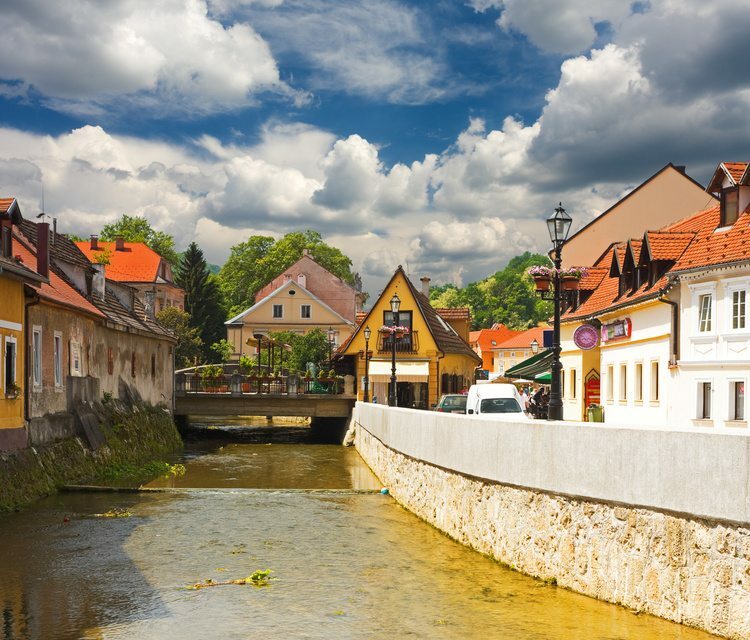 Samobor is an excellent place for a day trip from Zagreb as it’s a pretty, tranquil little town – a great place to visit in its own right – and is only just over 20km west from the capital. It’s best to travel by bus, as buses depart Zagreb Bus Terminal every half and hour and the journey itself is also only half an hour. Once in Samobor, head to the town’s delightful main square – Trg kralja Tomislava – for a pleasant walk around the area, and to then enjoy its cafes and restaurants. 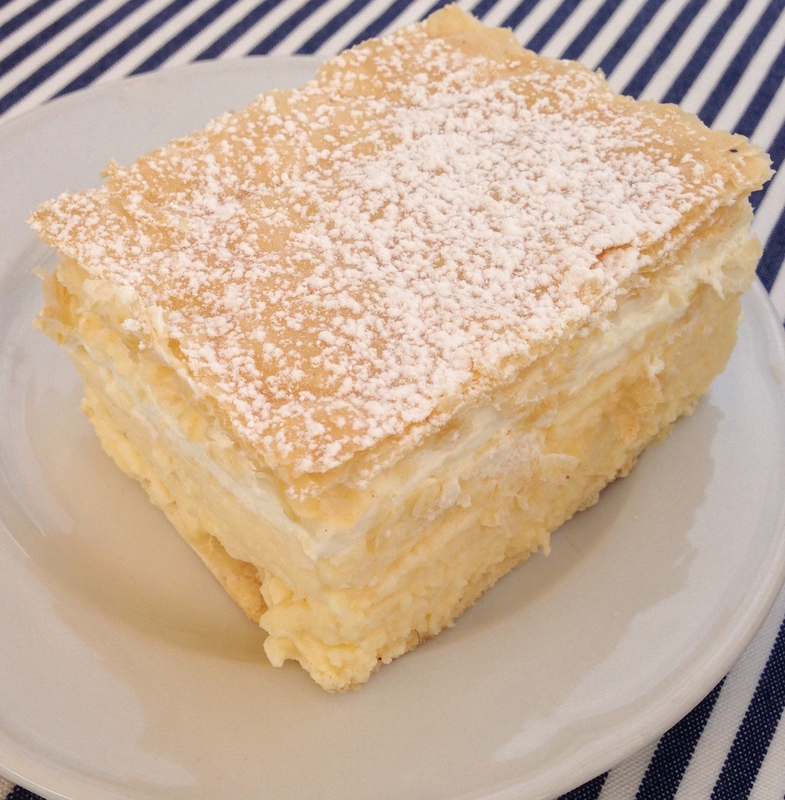 Samobor is also famous for the “samoborska kremsnita”, a custard cake. Although found elsewhere in Croatia, the Samobor version is supposed to be the best in the whole country. If you go to Samobor, you absolutely, positively must try a slice! A slice of delicious kremsnita! Other sights inlcude the churches of St Anastasia (sv. Anastazija) and St Anne (sv. Ana); the City Museum and the Marton Museum (the first private museum in Croatia); and Stari Grad castle in the west of the town. Varazdin is a town that’s greatly overlooked by many travellers to Croatia, which is a great shame. However, as it’s located about 90km northeast of Zagreb and near both the Slovenian and Hungarian borders, it is somewhat understandable that it may be out of the way of many Croatian visitors. Nevertheless, if you’re considering a trip from Zagreb (or find yourself in that part of the country) Varazdin is definitely worth a visit. Once upon a time the capital of Croatia (in the 18th century), Varazdin is a very well-preserved Baroque town. 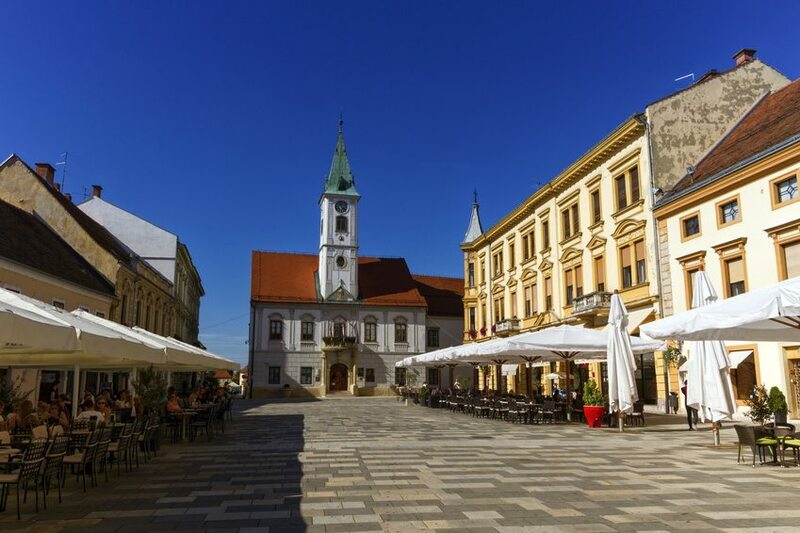 The best tip for sightseeing is to head to the centre of Varazdin, and to the main square of Trg kralja Tomislava (as in Samobor – see above!) for sights including the town hall, Draskovic Palace and the nearby cathedral, built in 1647. North of the main square is the Stari Grad fortress, which is also home to the City Museum. Varazdin is home to Spancirfest, one of the largest open air festivals in Croatia that take place over 10 days every August. There’s a mix of music (of different styles), theatre performances, art workshops, street performers and more. The best way to reach Varazdin is by bus. Again, there are numerous daily buses there and back with a journey time of between 1 hour 20 minutes and 1 hour 45 minutes, depending which bus you take. See the Zagreb Bus Terminal website. You can also use one of several trains that run each day, but as these take longer than the bus (2-3 hours), it is not really advised as a method of transport. However, see the Die Bahn website for timetable details. If you’re wondering whether or not you’d be able to make a daytrip to the coast, the answer is “technically yes, but…”. The nearest point of the coast from Zagreb is Rijeka – and the bus journey (most of which is on a motorway) to there only takes about 2 and a half hours. There are numerous daily buses both there and back, meaning that you’d definitely be able to make the whole trip in a day. However, Rijeka is generally considered to be a busy port town and although there’s a number of sightseeing opportunities, if your ultimate aim is to hit the beach and have a cool dip in the sea, you’ll be disappointed. The first step would be to visit the Zagreb Bus Terminal website and start planning your bus journey to see if it’s do-able. You’ll find that you can reach some of the above places direct from Zagreb – but you’ll also have more options if you travel to Rijeka first and then change buses here.